In 1945 Leon Berkowitz and the poet and his wife, Ida Fox, founded the Washington Workshop Center for the Arts in 1945, Washington, D. C.’s first alternative artists space, which attracted the artists Morris Louis, Kenneth Noland and Gene Davis. These artists would later become the well-known founders of the Washington Color School. 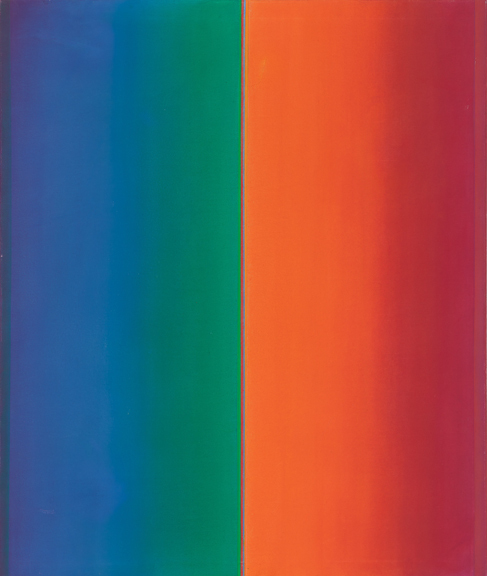 While Berkowitz is often associated with the Washington Color School, he eschewed the connection instead emphasizing the influence of poetry, music, and physics in his work over formalistic concerns. Berkowitz studied at the University of Pennsylvania, the Arts Students League in New York, and in Paris, Florence, and Mexico City. During World War II he was in the Army, stationed in Virginia, and in 1945, after completing his military service, he moved to Washington, D. C. He painted and taught art for more than ten years. In 1969 he became chairman of the painting department at the Corcoran Gallery School of Art. He taught there until 1987. Berkowitz’s work are in the collections of the Museum of Modern Art, Hirshhorn Museum & Sculpture Garden, Washington, D.C. National Museum of American Art, Smithsonian Institution, Washington, D.C., The Phillips Collection, Washington, D.C.
Findlay Galleries has been the exclusive representative of the Berkowitz estate since 2007.